Smart meters and EMR in general recently featured on the Hamilton-bsed community radio show “From the Fringes” hosted by Jack Geiler. Environmental lawyer Sue Grey was recently interviewed and also Katherine Smith. Click on Podcasts for search for the above program and dates. Go to the drop down menu for ‘From the Fringes’ programmes. Guest speakers Sue Grey was on 01 Sept. and Katherine Smith on 14th Oct. Both programs can be re listened to and are also downloadable. 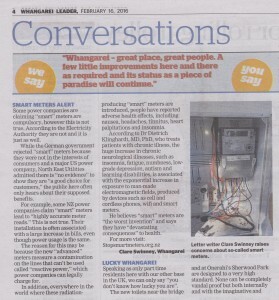 To stay up to date with the smart meter issue in NZ, please join the free email list at www.stopsmartmeters.org.nz Thank you! 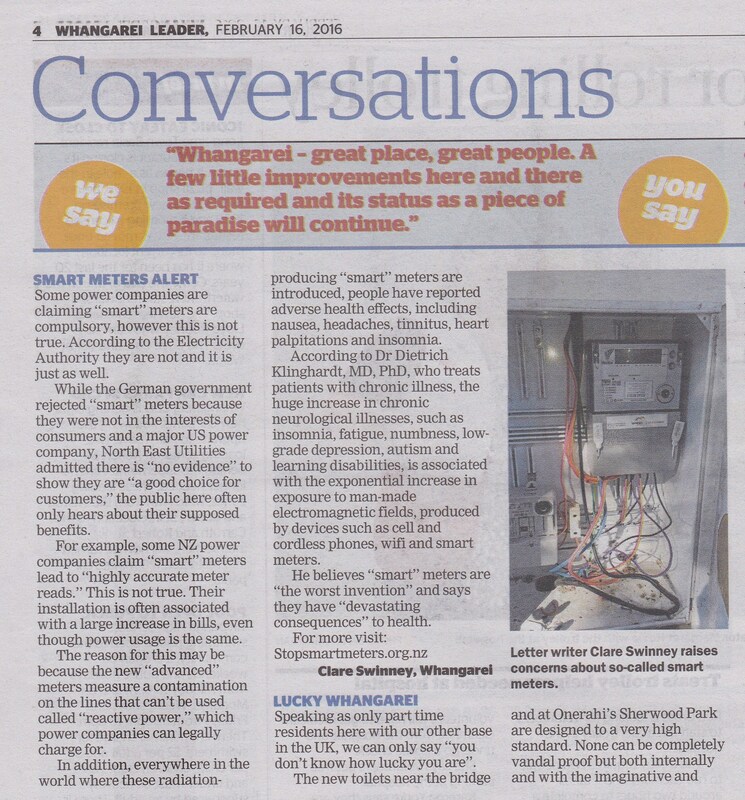 Smart meter adversely affected by electrical storm? Not that long ago I had an email from a correspondent who told me that a friend had told him how he had recently received a much higher bill than usual. The friend had a smart meter installed at his home and speculated that an electrical storm in the area (prior to the anomalous bill) may have adversely affected the electronic smart meter. Has anyone else experienced some sort of billing anomaly following an electrical storm?